All club paddlers are invited to take part . Loch on Friday 12th July 2013. 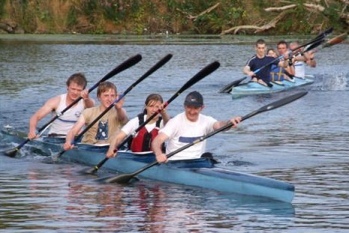 The event will take the same form as last year’s successful evening with paddlers split into mixed teams of 6-8; there will be ‘races’ over 1-2 laps with sprint finals for each team! The event will begin around 19:30, with the opportunity for further socialising after the event. The event really is for everyone, so it would be great to see as many of you as possible. If you are able to make it, an indication by reply email would be appreciated to help with planning.